OMGosh. I never say that, but I don’t know how to communicate how excited I am about this stuff! 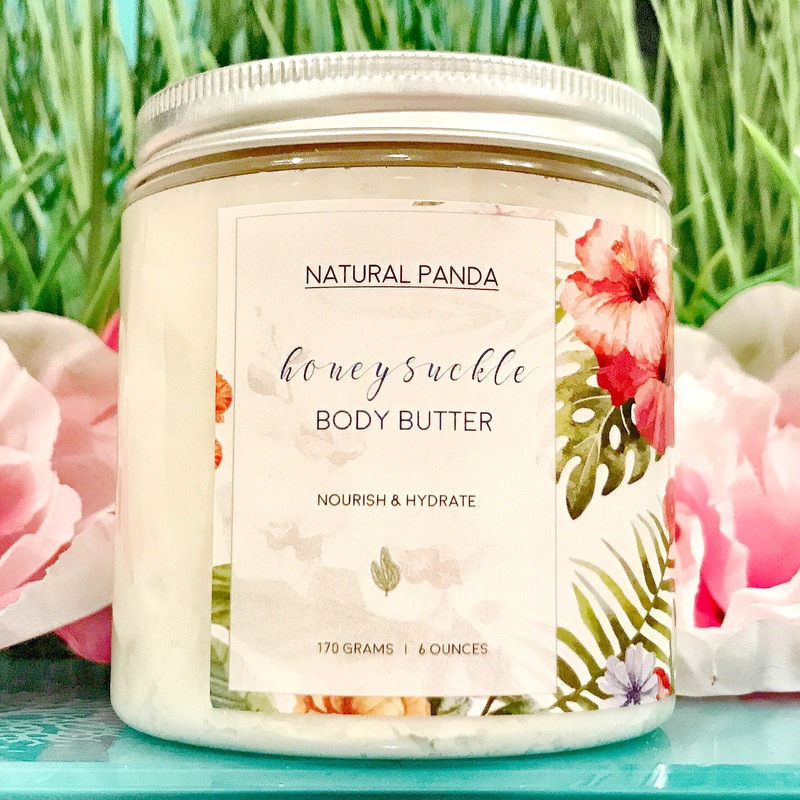 This body butter is EVERYTHING I hoped it would be and more! The honey suckle scent is so spot-on I can’t even believe it. It’s sweet and floral and reminds me of the days that I spent in the backyard with my brother and sister hunting for honey suckles to pull apart and eat. 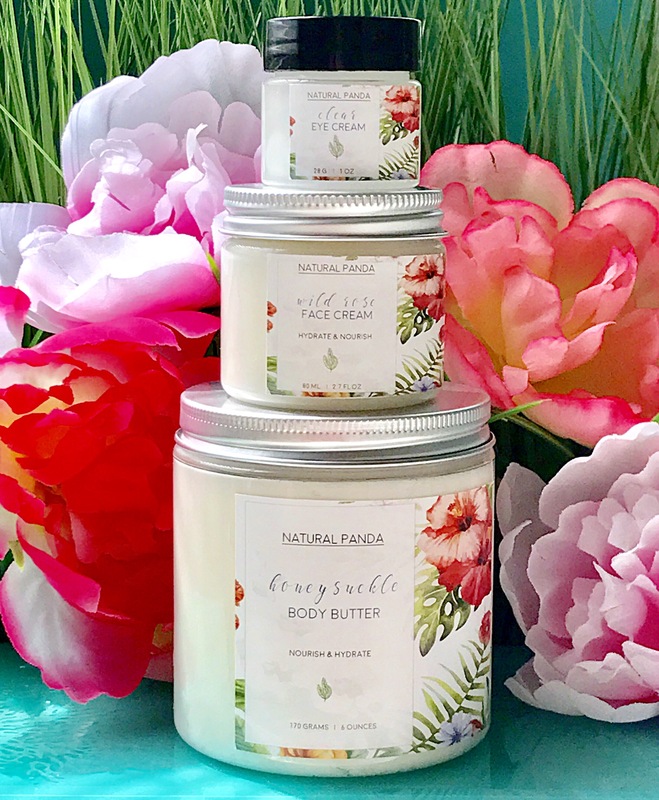 You do not need to wear perfume when you use this body butter and I promise you will get a lot of “You smell good!” compliments like I did. 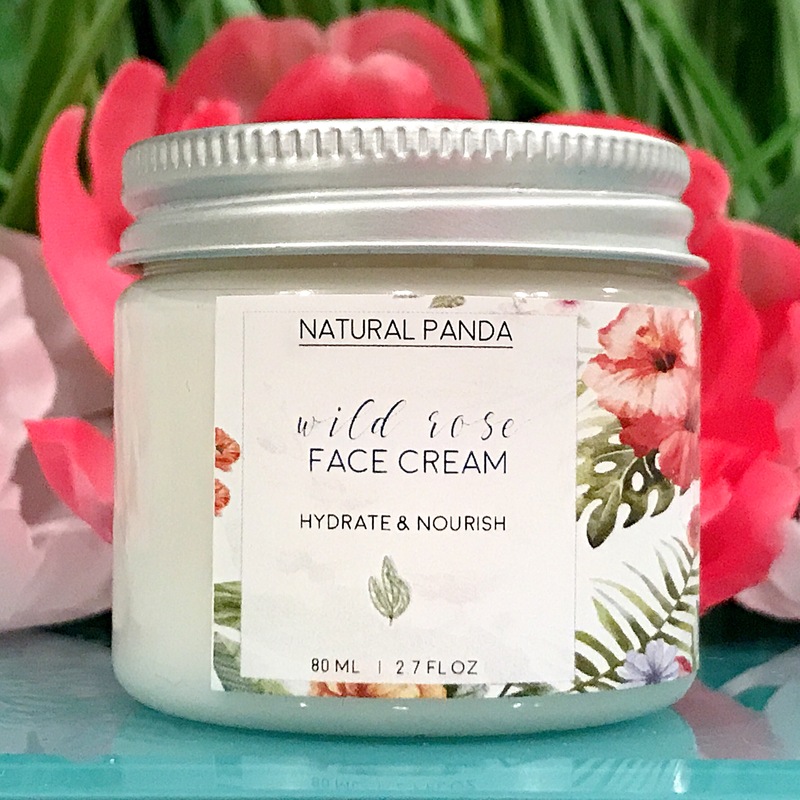 This product melts quickly into your skin and does an excellent job hydrating even the driest skin thanks to shea butter as the main ingredient. My (formally) dry elbows give this a thumbs up! If you love floral scents, you will absolutely adore this face cream! It is thin and lightweight, yet really packs a punch in the moisture department! I have been using this moisturizer in the morning under my make up and my skin looks dewy and healthy. I also have been using it at night and I always wake up to hydrated skin. In my opinion, the best skin care products are those with the simplest and fewest ingredients. The ingredients in the Wild Rose Face Cream are aloe vera gel, apricot kernel oil, vitamin E, grapefruit seed extract and rose geranium and ylang ylang essential oils. I actually look forward to using this product, it’s that good! A 2-ingredient eye cream? That’s exactly my style! 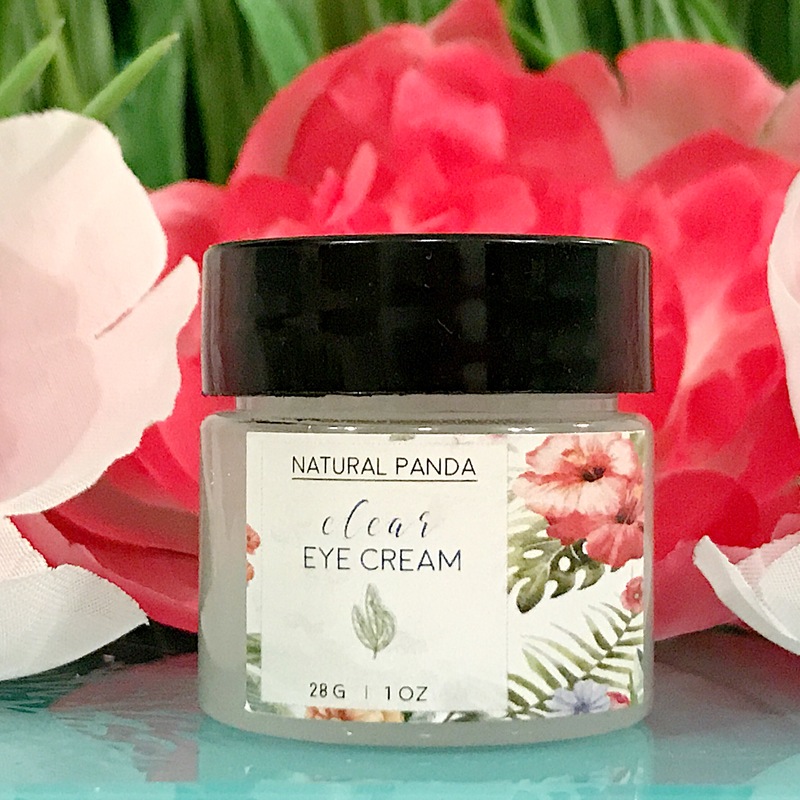 Aloe vera and apricot kernel oil, that is all you will find in this Unscented Eye Cream! I use this in the morning under my makeup and it helps my concealer and/or foundation glide on smoothly and evenly. It prevents my undereyes from looking dry and it absorbs quickly. A little goes a long way, so this tiny container will last a long time! I cannot say enough good things about NATURALPANDA! The products smells fantastic, work wonderfully, and the packaging is as cute as can be! To make it even better, Chandi, the owner, donates a portion of every purchase to the World Wild Life Fund to help save the pandas! How awesome is that? These products are simple, effective, and you help out pandas with every purchase. Its a WIN WIN WIN! Head on over to the NATURALPANDA Etsy page and check out all of her amazing products!